Inland of Spain’s Costa del Sol rises the magnificent Sierras de Tejeda and Almijara. Mountains, ravines, streams and rivers await the adventurer. 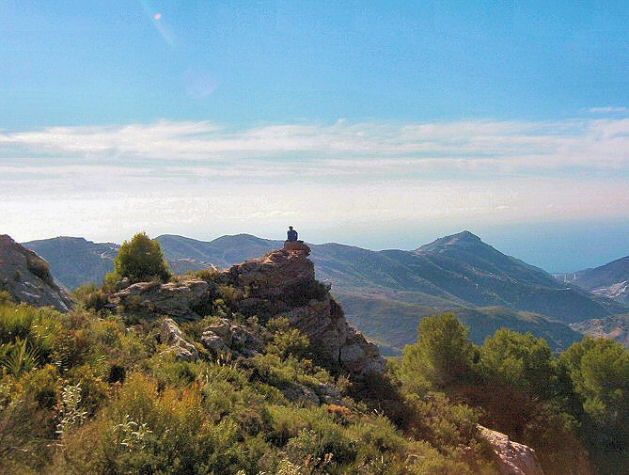 This area, La Axarquia, is a gem for anyone looking for an unforgettable walking experience. Have now used your Axarquia map for several weeks and get even more impressed. Not only can you use it for your walks but you can also combine walks and tracks from, for example, GR 249 GR 242. Did Walk 22 yesterday and GR 242 Frigliana to Maro the day before. Going to try some combinations next week. Amazing! It makes it very easy to walk these hills using GPS. If you want to combine a beach holiday down on the costa, with walking days, this is the ideal location.